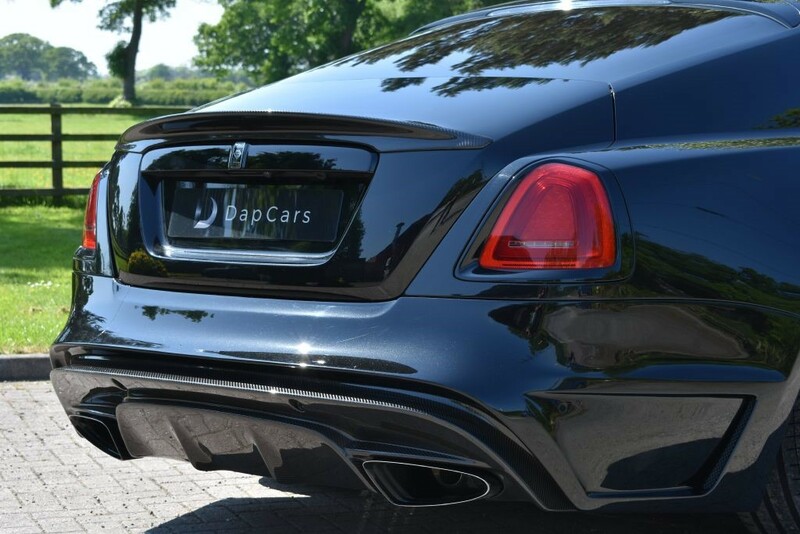 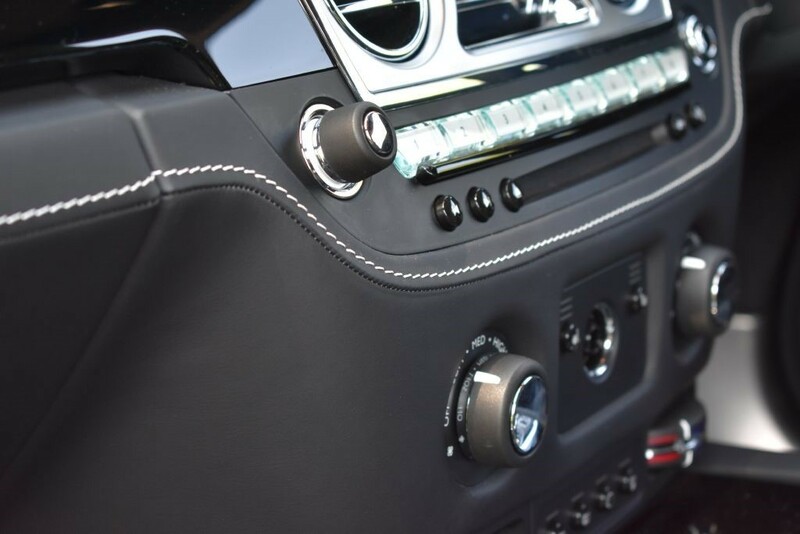 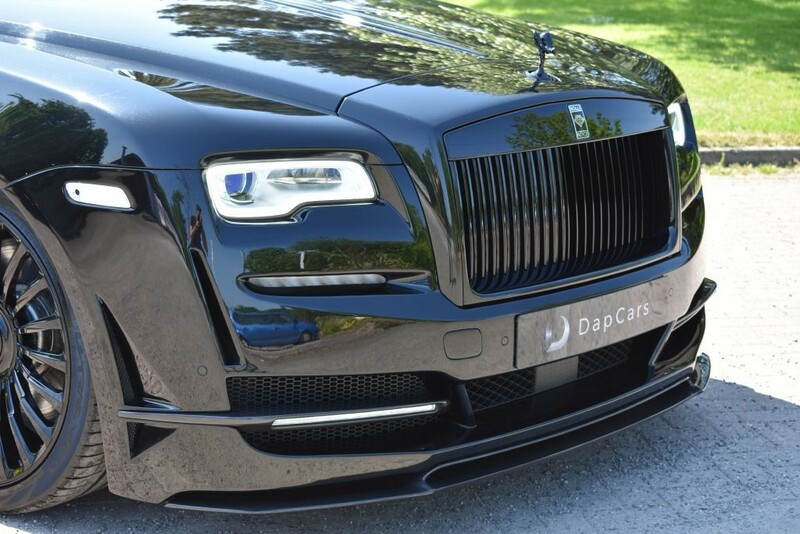 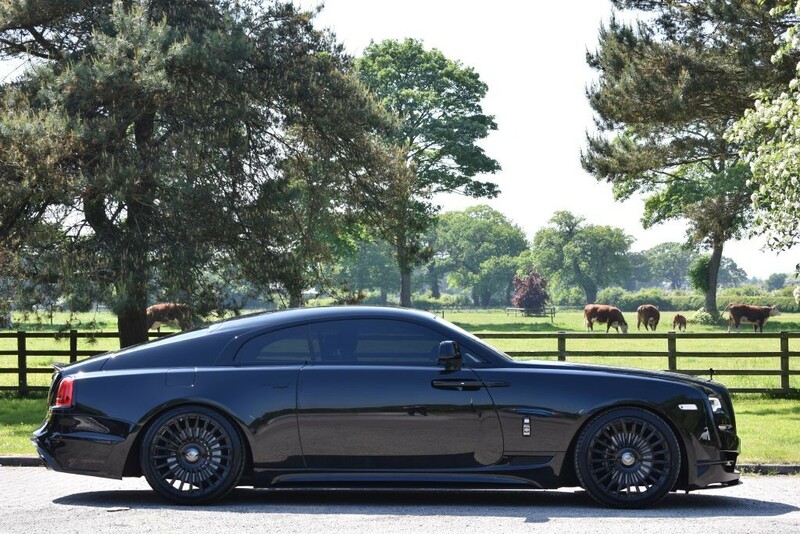 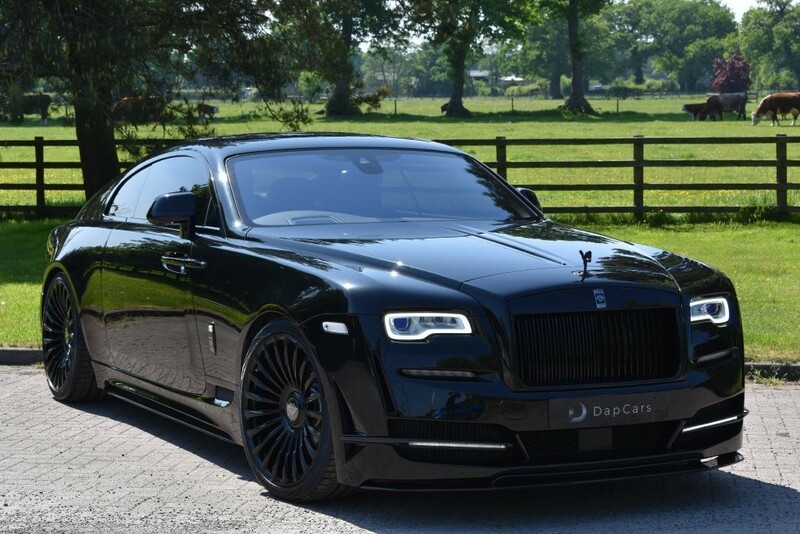 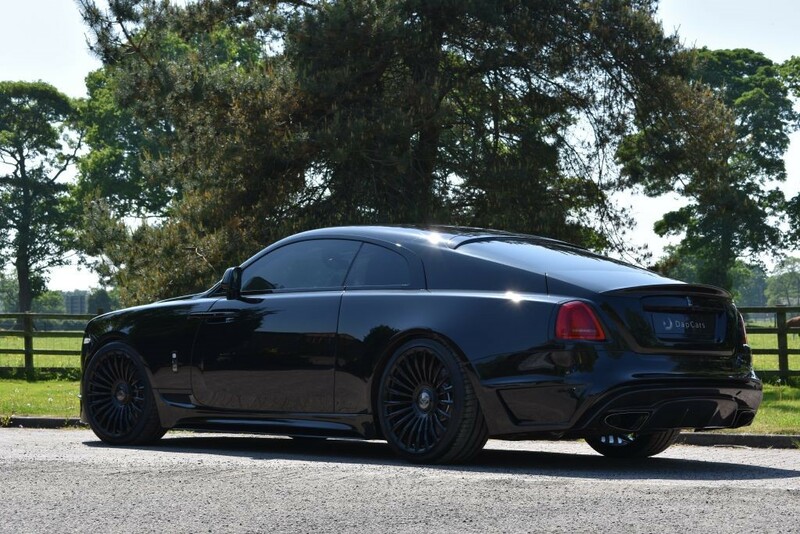 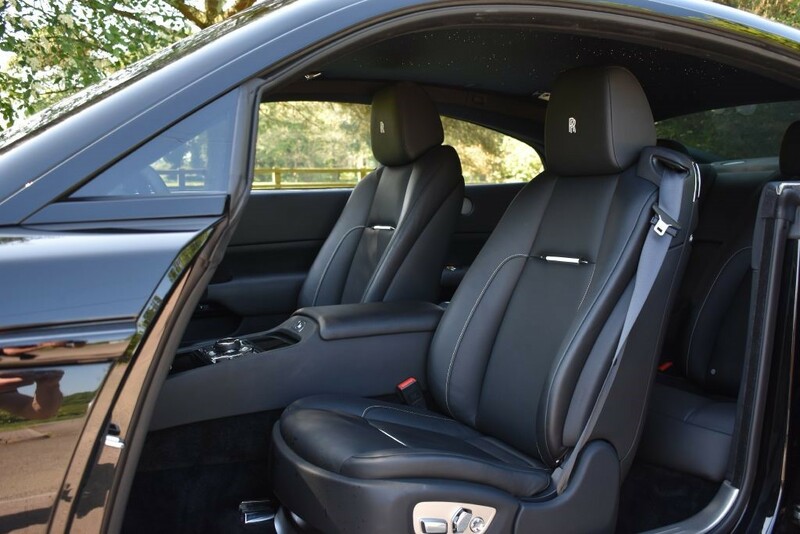 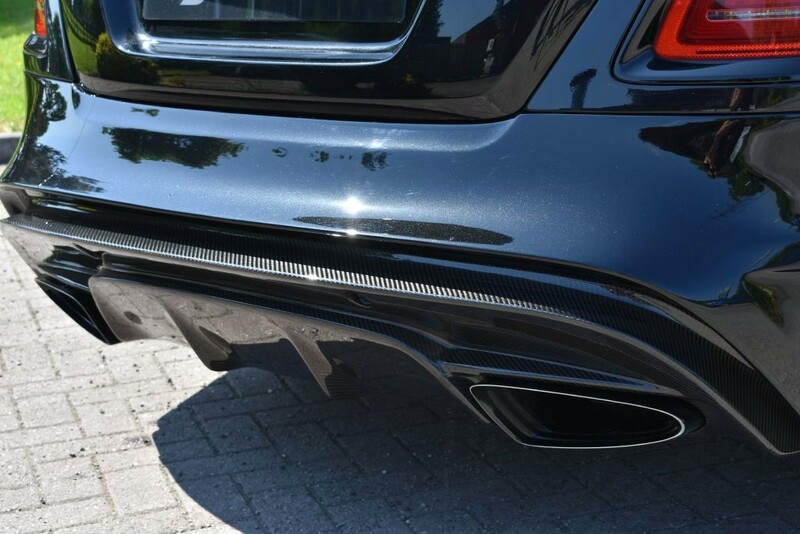 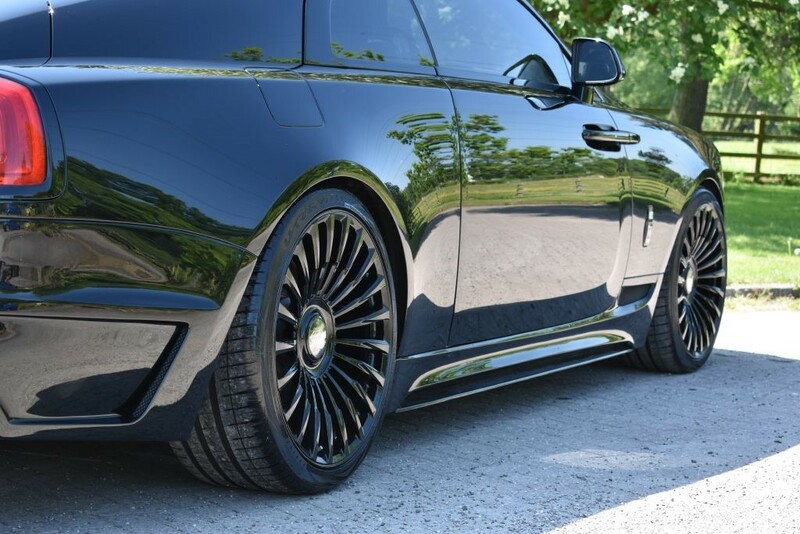 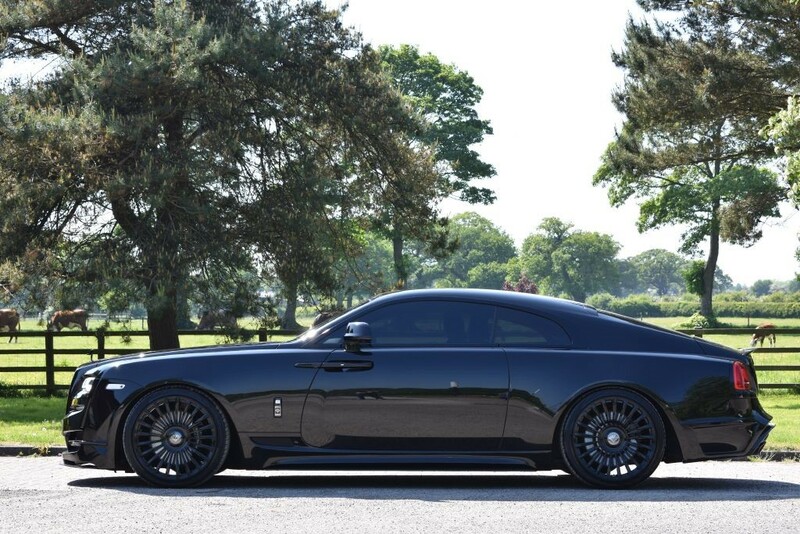 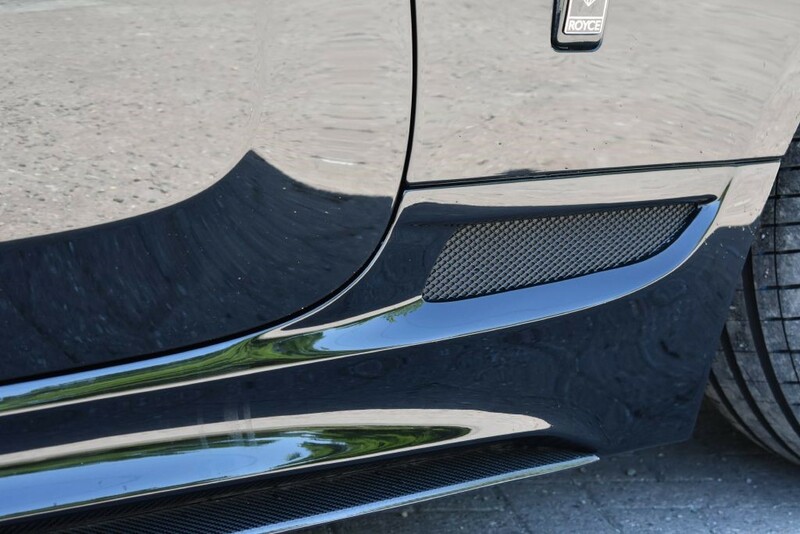 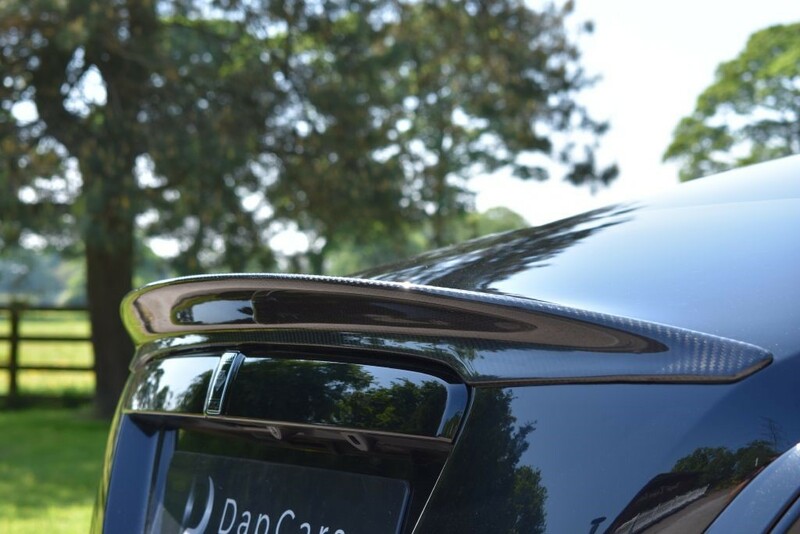 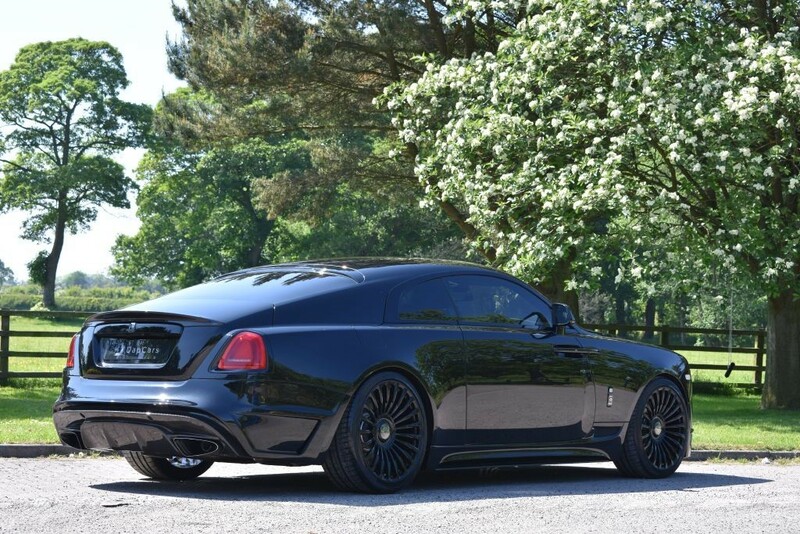 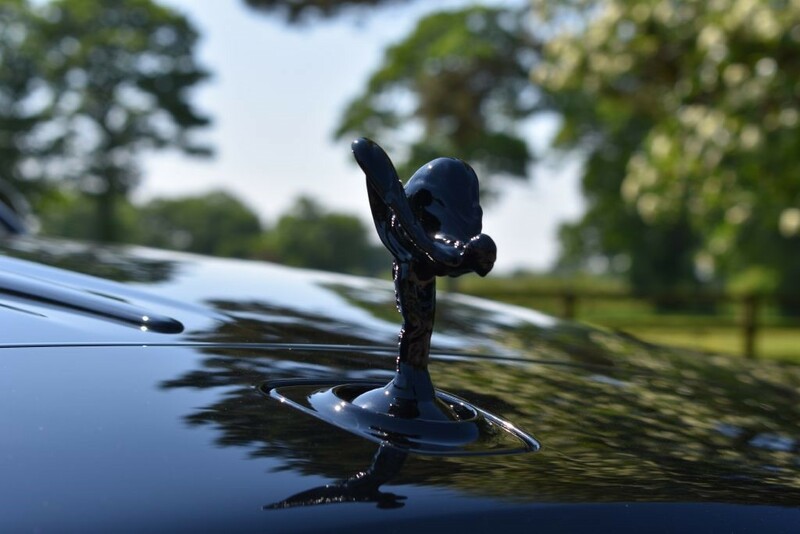 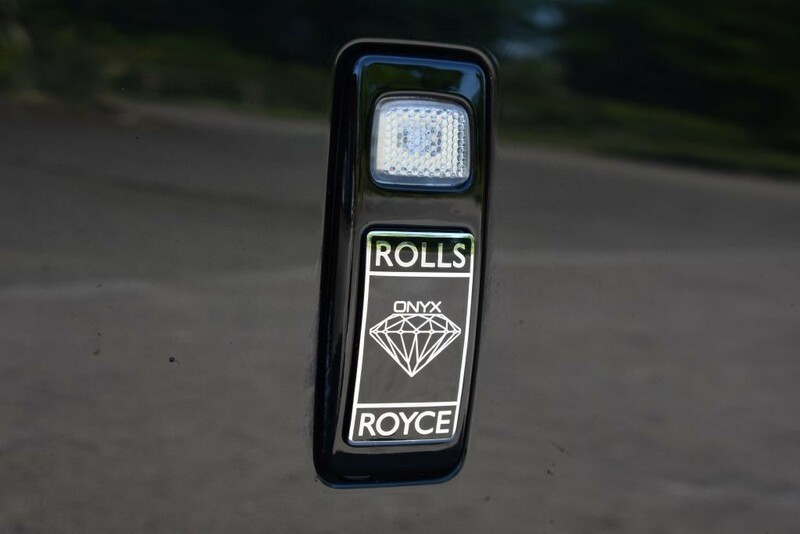 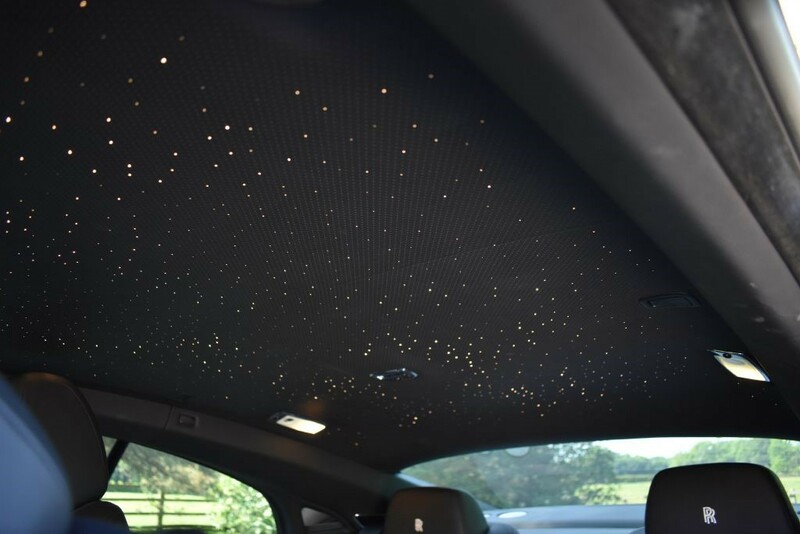 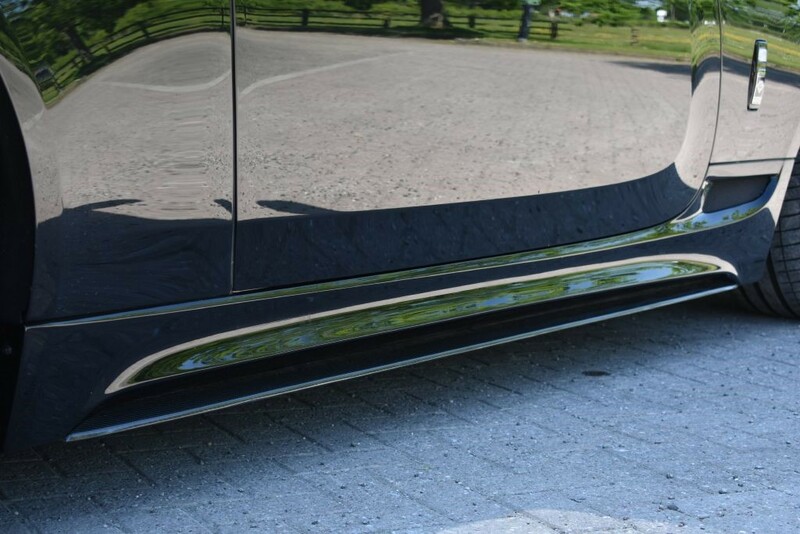 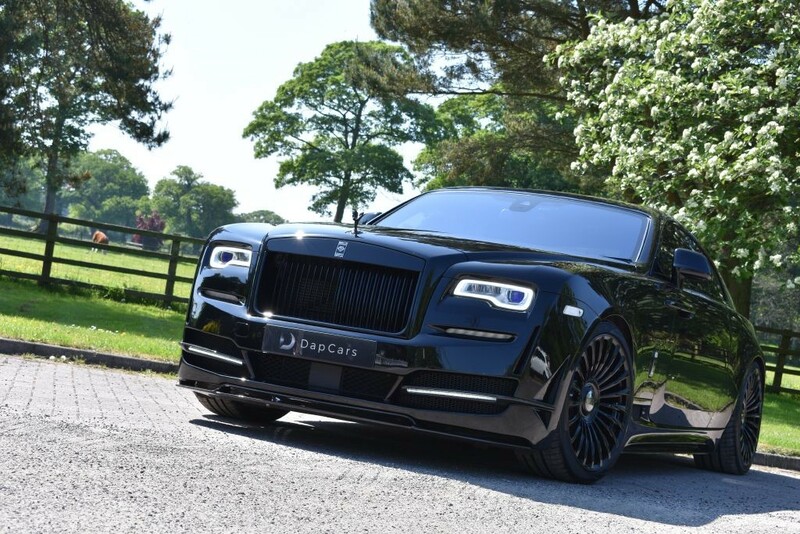 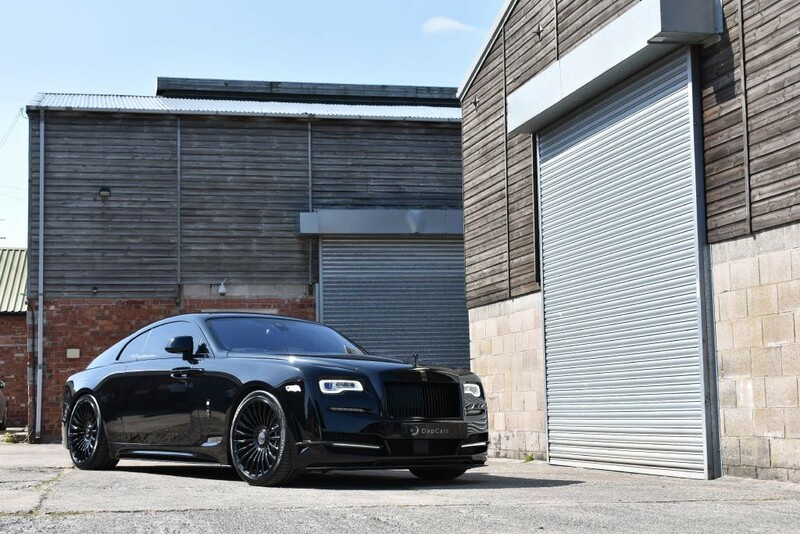 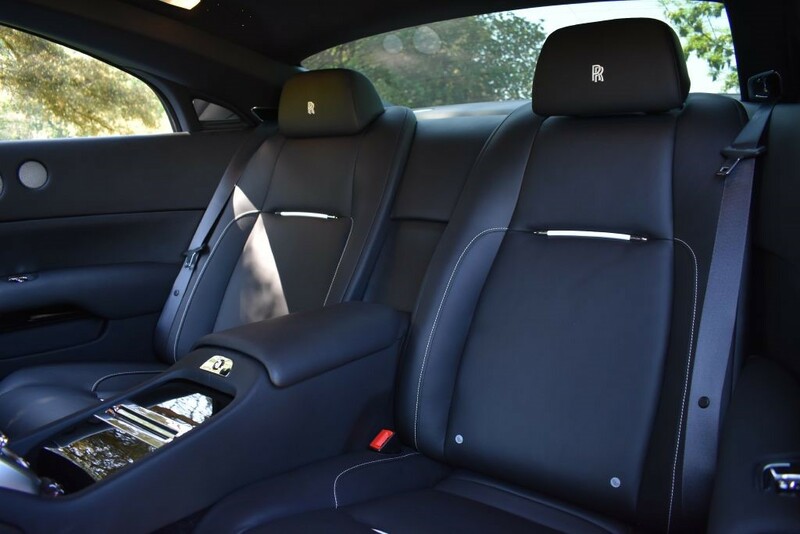 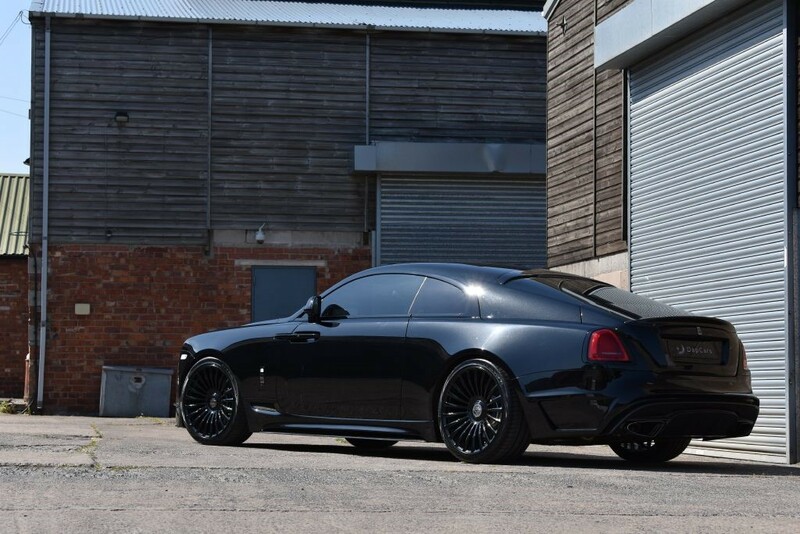 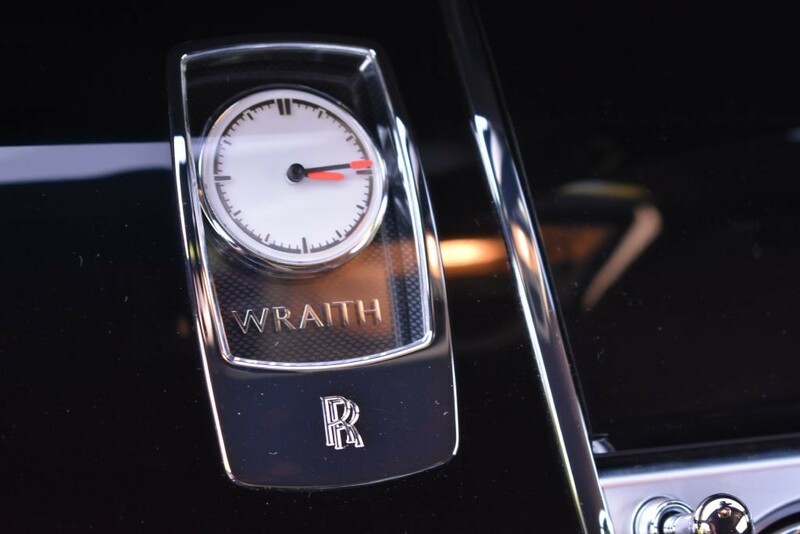 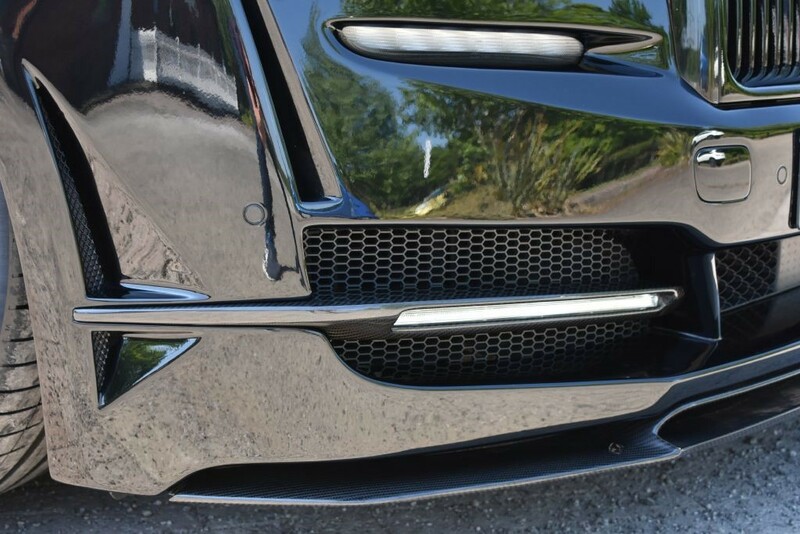 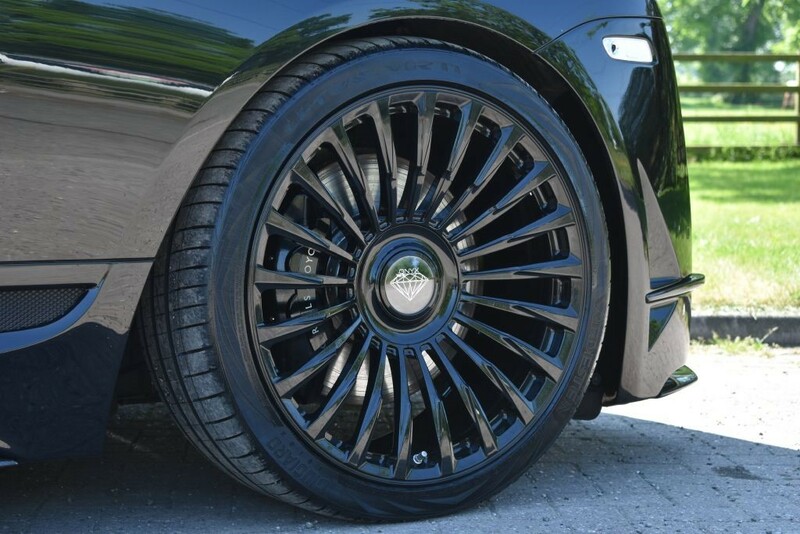 We are pleased to be able to offer for sale this stunning Rolls Royce Wraith that benefits from a complete Onyx Concept exterior conversion that has just been completed. 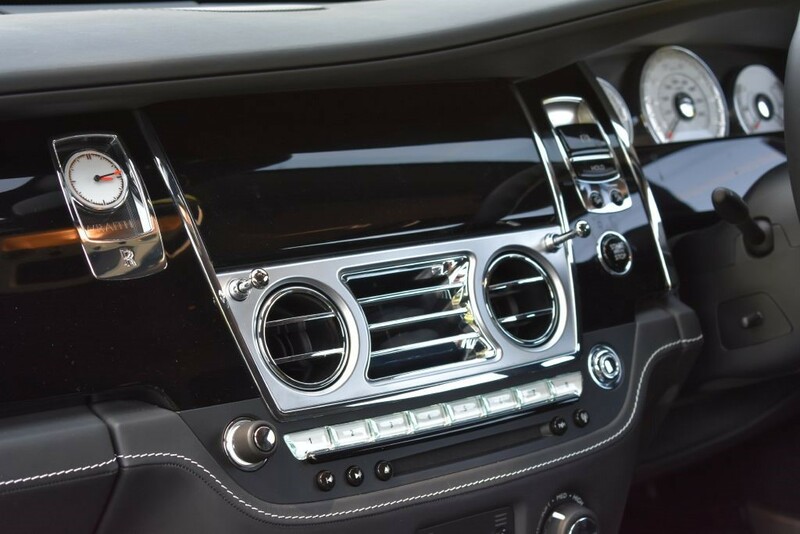 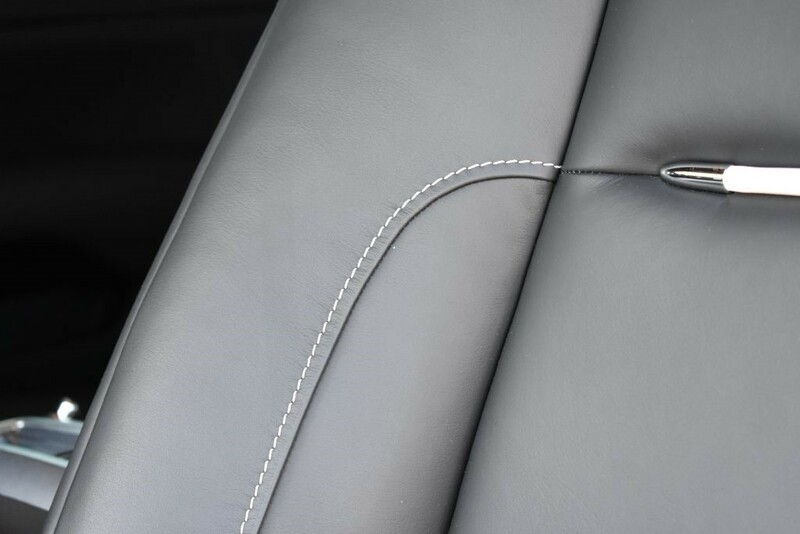 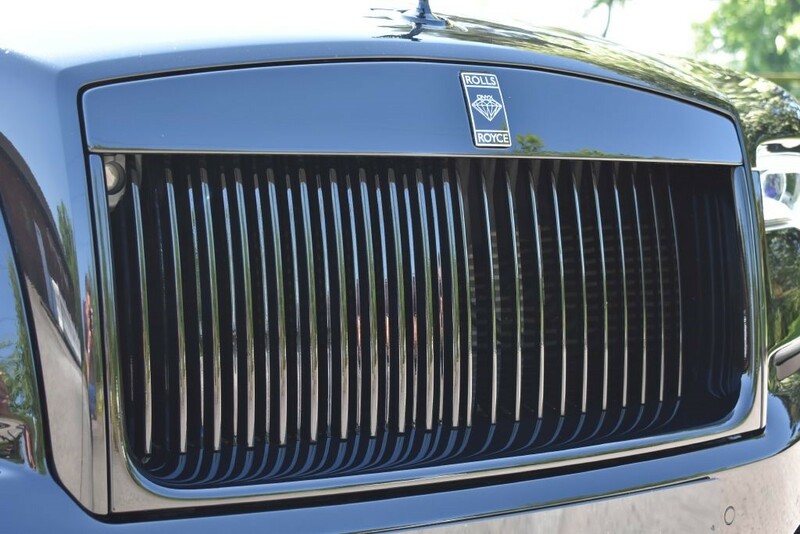 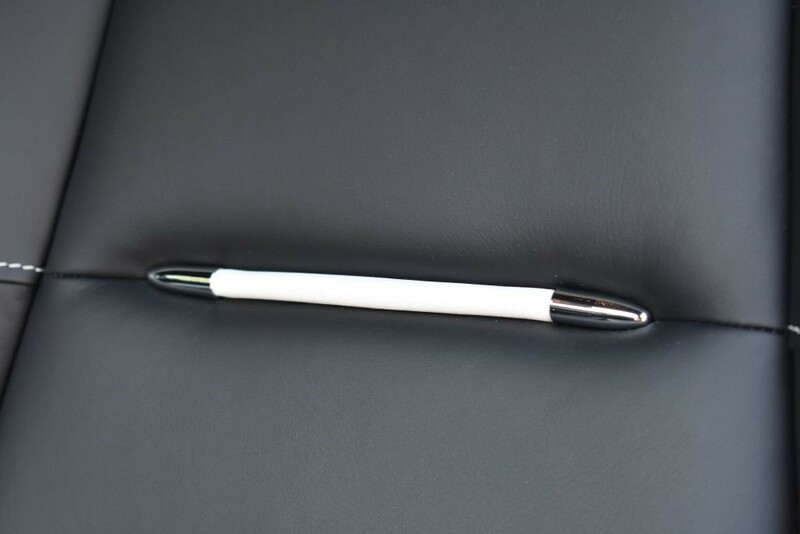 The vehicle is presented with full Rolls service history and the balance of a 4 year service plan. 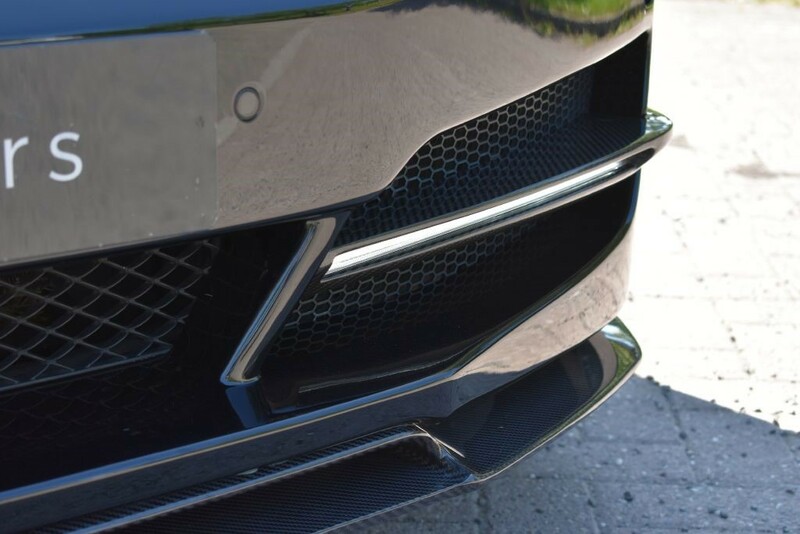 Details of the outstanding conversion follow: Complete Front Bumper With Carbon Fibre Lower Splitter And LED Daytime Running Lights With Carbon Fibre Housings, Sculpted And Vented Side Sills With Extended Carbon Fibre Element, Complete Rear Bumper With Carbon Fibre Diffuser Housing Branded Billet Aluminium Tailpipes, Full Exterior De-Chrome To Front Grille, Spirit Of Ecstasy, Door Handles, Window Surrounds, Taillight Trim And Boot Finisher, 22" Forged Roulette Alloy Wheels, Lowering Program, Sport Exhaust And Exterior Branding. 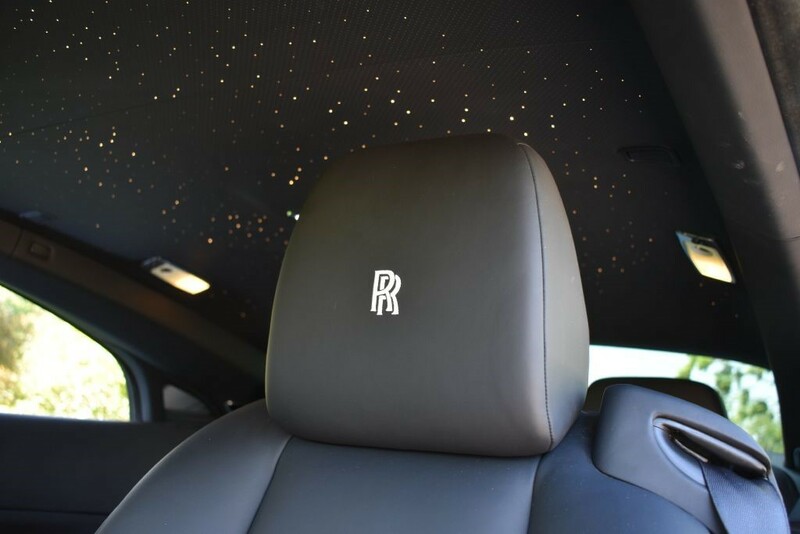 Complementing the Onyx enhancement is a high Rolls Royce specification, full details can be found here: Driver Assistance Pack Three Including Night Vision, Head Up Display, Lane Change Assist, Active Cruise Control And High Beam Assist, Comfort Access, Camera System, Starlight Headlining, RR Monograms To Head Rests, Contrast Stitch And Piping And Lambswool Mats. 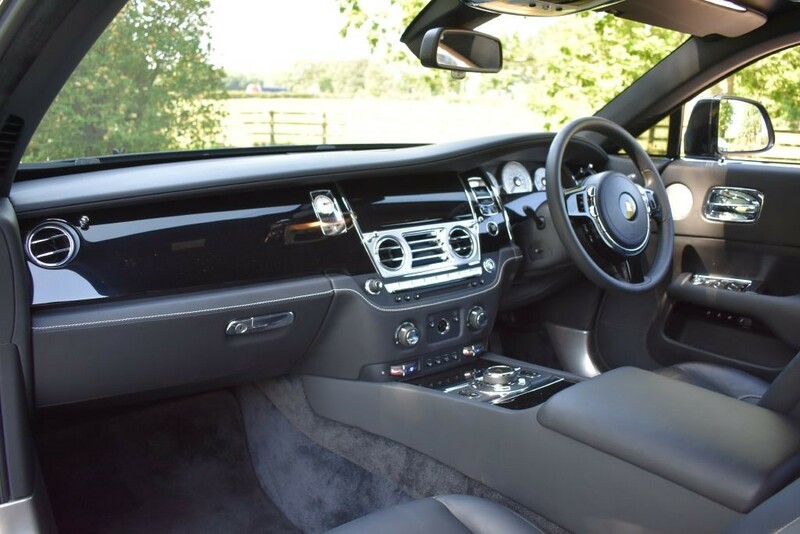 Please call for more information or to arrange a viewing.